Developing a coaching culture is essential to remain competitive in today’s business environment. Leaders get what they coach to, not what they hope for. But like leadership, coaching is a learned skill that requires practice in giving and receiving feedback. Luckily, performance improves as fast as the feedback becomes actionable. Expert Ken Cheo walks you through the Heart of Coaching model developed by Thomas Crane. Picking up where leadership leaves off, this model highlights the shared attitudes, beliefs, and values that guide the behaviors that develop trusting and collaborative relationships. Join in to learn why coaching is not incremental work—it's how you do your work. You're in a supervisory role, and you need to improve performance, change behaviors, or improve working relationships while receiving active feedback. You're in a managerial role, and you need to improve working relationships with your peer managers or your boss. Watch Thomas Crane's 2018 Webinar: Parts 1 and 2 (video 69 mins). Complete the Coaching Skills Self-Assessment (worksheet). Think of a real live coaching conversation you'd like to have. 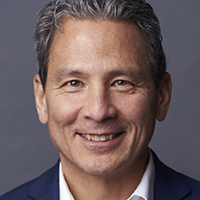 Ken Cheo is the president and owner of Our Sales Coach, where he helps executives, managers, and select salespeople create an ideal client prospecting system to gain a strong market position and produce meetings with decision makers. Ken also helps his clients develop a scalable and repeatable sales process that ensures they aren't wasting time with people who don’t buy or buy from someone else, and trains and coaches teams so the changed behaviors become habitual and sustainable. Previously, Ken spent over 20 years in sales and sales management. Ken is a frequent speaker on a variety of sales- and marketing-related subjects.